The story of Hosea and Gomer is probably the most unlikely basis for a romantic novel. But Mesu Andrews tackles it and more, as she weaves together Love in A Broken Vessel, a novel rooted in scripture and Biblical history. In Love in a Broken Vessel, Andrews has created a novel that will make you take a second - and probably a third - look at how God spoke to his people through Hosea and Gomer. This is not an "easy" book to read - and it's definitely not "mind-candy/" The layers are deep. The writing is strong. It's a novel you'll want to read slowly, to savor the words and meaning within the story. It was a hard book for me to read, because I could truly identify with some of the feelings Gomer had - and how she ran from love because of the brokenness of her past. I could also identify with Hosea as he struggled to remain faithful to God and wait for His direction - even when things changed, and he was no longer a prophet. Ultimately, the love Hosea poured out on Gomer was only a fraction of the love God poured out on his people - who strayed from faith. That love is amazing and life changing. This is the third Biblical romance novel Andrews has crafted. Each has challenged me to dive into the primary source - the Bible - to re-read a familiar story with new eyes. On the scale of one to five, I give this book (and the series) a solid four. I truly enjoy reading Andrews books. I can tell how passionate she is to tell a story that is grounded in scripture. 1) Why tackle the story of Hosea? What drew you to the story? Hosea seemed a good one to tackle because it had a little bit of story in the first three chapters, and I hoped to find some historical data to fill in the questions left unanswered in Scripture. Writing a biblical novel always comes in three stages for me—not necessarily sequential, but I always begin by reading the Scriptures first. For Love in a Broken Vessel, I not only read all of Hosea repeatedly, but I spent lots of time in 1 & 2 Kings, 1 & 2 Chronicles, Isaiah, Micah, Amos, and Jonah. After soaking in the main idea and emotion of the message of each passage, I turned to historical texts and archaeological data. Whatever I couldn’t fill in with those facts, I added good old-fashioned imagination, and…wallah! A novel is born! The story of Hosea was fun because I got to know some of the prophets and their relationships with specific kings in Israel and Judah. Giving these people personalities, quirks, love languages—it makes the Scripture come alive for me…as I hope it does for readers! 2) Which character do you identify with the most? Why? I identify with Gomer. I was never a prostitute, but I was badly broken. By the time I was nineteen, I had turned my back on God. I was an alcoholic and believed my life was over. Were it not for a dear friend, I wouldn’t be here today (as mentioned in the dedication of this book). Brokenness never completely heals on this earth. It’s mended—redeemed by the Blood of Jesus—but the cracks are still there, oftentimes put to good use by our gracious God, who displays His light through the flaws...revealing a unique beauty unknown to a pristine vessel. But living with those cracks isn’t always easy. Life is messy, and Gomer reveals those hard feelings of the unredeemed. Righteous Hosea is actually messy too. It’s not always easy to be the “nice guy.” Come to think of it, I’m sort of a “messy” writer! ha! But don’t Bible characters reveal that life is seldom simple? I’m thankful for characters like Gomer to relate to. 3) What was the biggest thing you wanted to get across in this story? No one is too broken for God to mend, love, and use for His good purpose. I was broken by sin before I was a Christ-follower. I’ve been broken by chronic illness since 1997 even though I’m a faithful Christ-follower. My faithful Abba adores me regardless, and He has filled up the cracks and found ways to use me—not just in spite of my brokenness, but because of my brokenness. 4) What message do you think a contemporary reader can learn from this novel? I hope many messages come through, and I believe it’s a book that may speak differently at different times in a life, depending on what folks are experiencing at the moment. There are strong themes of forgiveness, trust, waiting on God, honesty, and friendship. But one of the messages that emerged completely unintentionally was that anyone can hear Yahweh speak—if we will learn to listen. Proverbs 8:17 promises that those who seek the Lord will be found by Him, and I believe it’s true! 5) What surprised you with the story? What did you learn from digging into the story? The first thing I do when beginning to research any new story is to lay out the timeline of the characters, making a spreadsheet of their birth and death dates as well as the dates of their major life events. I’m always surprised to see whose lives overlap, and who is a child when others are old men/women. It was fascinating to me that the prophet Jonah might have been alive when Hosea began prophesying in Israel. I was amazed that the profession of midwife was so closely engaged with prostitution in ancient days, but the deeper into herbal medicine I researched, the more I realized why it made sense. And frankly, I was surprised to discover that the northern kingdom of Israel didn’t completely shun Yahweh. They simply worshiped other gods in addition to Him—as Judah later did—and that was their downfall. With each biblical novel I write, the Lord pierces my heart with new truths, new lessons, new principles to implement into my own life. That’s part of the joy…and the discipline. 6) What else would you like the reader to know? Mesu Andrews is the author of Love Amid the Ashes and Love's Sacred Song. 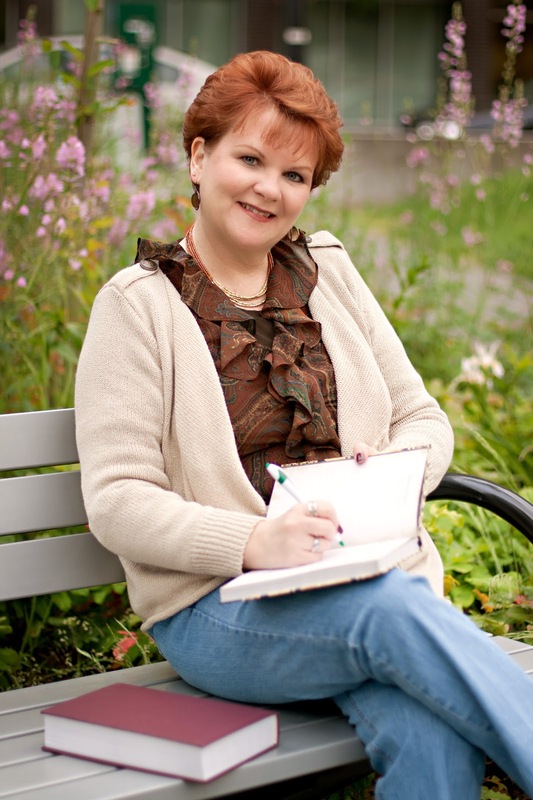 She is an active speaker who has devoted herself to passionate and intense study of Scripture. Harnessing her deep understanding and love for God's Word, Andrews brings the biblical world vividly alive for her readers. She lives in Washington. My Review of Love's Sacred Song (King Solomon) - Book 2.